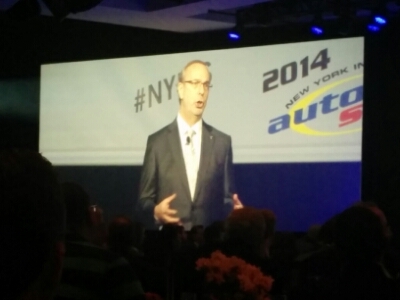 We are here at the press breakfast waiting for the Auto Show kickoff. 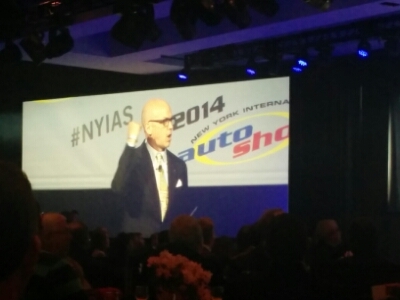 We’ll hear about the Nielsen Global Automotive Advertising Awards and listen to Mark Schienberg, President of the Greater New York Automobile Dealers Association, followed by Matt Davis, Co-chair of the World Car Awards. 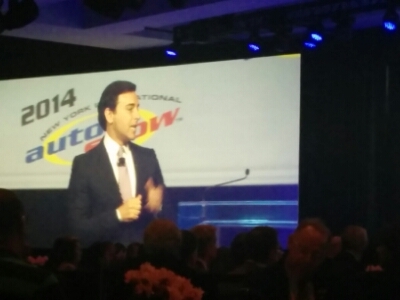 Lastly, we’ll hear the Keynote speaker, Mark Fields, the Chief Operating Officer for the Ford Motor Company. 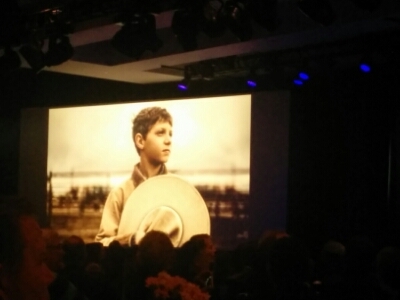 With the award going to Farm, a beautiful look into America’s backbone, the farmer. Mark Fields recalls the 1964 World’s Fair “One of the biggest showcases of innovation” and looks to apply the same level of new innovation to Ford’s global strategy. Bill Ford and Mark Fields will reveal a special edition Ford Mustang at 9:45!